Elisabeth S. Gray is a litigator whose practice focuses on unfair competition, including disclosure of trade secrets and enforcing non-competition and non-solicitation agreements. She has also maintained a high familiarity with eDiscovery and related technology in order to provide defensible eDiscovery solutions for clients, as well as using eDiscovery to the client’s advantage in seeking and obtaining eDiscovery from opposing parties. She has successfully obtained numerous court orders requiring the forensic examination of computers, smart phones, and other electronic devices. She also serves as the chair of the litigation practice group at Middleton Reutlinger. Ms. Gray has tried several commercial litigation cases through judgment, and has been lead counsel in a number of injunction and other evidentiary hearings. 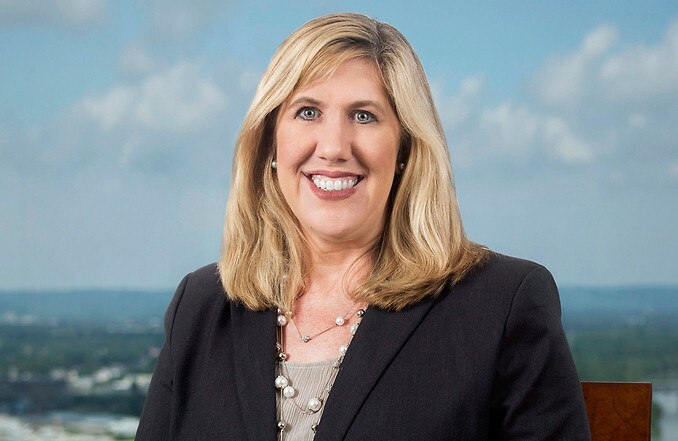 In addition to her unfair competition practice, Ms. Gray has a range of experience including prosecuting and defending jurisdictional litigation, IP litigation, complex contractual disputes, real estate litigation, bankruptcy court adversary proceedings, and other general commercial litigation. She has experience overseeing and coordinating large document retrieval, production and extraction projects for major clients. Ms. Gray has trial experience in state and federal courts, as well as arbitration tribunals including the NASD (now FINRA) and the AAA. Her practice includes appellate work at all levels. Successfully prosecuted and defended misappropriations of trade secret claims. Obtained dismissal of trade secret misappropriation claims on summary judgement. Successfully prosecuted cases and obtained Temporary Restraining Orders to enforce non-competition and non-solicitation agreements, against misappropriation of trade secrets, tortious interference with business relationships and unfair competition. Obtained preliminary and permanent injunctions after evidentiary hearings. Resulted in successful settlements with monetary components and permanent injunctive relief. Prosecuted and defended patent and trademark infringement cases. Successfully defended employment discrimination claims, defamation, and retaliation. Assisted, advised, coordinated and implemented litigation holds for clients. Assisted numerous clients in preserving and forensically examining work computers of current or former employees to support a claim. Successfully obtained court orders requiring opponent to allow forensic examination of home computers and PDAs, resulting in the discovery of key evidence. Successfully obtained court order requiring opponent to cease using back-up tape recycling and other losses of electronic evidence during litigation. Successfully quashed subpoena of non-party to a lawsuit requesting time-consuming and expensive electronic discovery on grounds of burdens and cost. Successfully used subpoena process of Internet Service Protocols to determine identity of anonymous cyber-smearers and prosecuted them. Successfully obtained injunction requiring former employee who obtained domain name for employer to transfer domain name back to employer. Developed e-discovery protocols, retained forensic experts and coordinated production of electronic documents and data for several litigation matters. Coordinated and developed protocol for identification, imaging and extraction of documents prior to sale of subsidiary. Imaged more than a million documents and extracted thousands of boxes of confidential and proprietary documents. Successfully required party to execute a consent form and have non-party/hosting party/Dropbox.com produce confidential content of Internet files. Successfully obtained dismissals for lack of personal jurisdiction and defeated motions to dismiss for lack of personal jurisdiction in state and federal courts.